Gender, Masculinities and Lifelong Learning reflects on current debates and discourses around gender and education, in which some academics, practitioners and policy-makers have referred to a crisis of masculinity. This book explores questions such as: Are men under-represented in education? Are women outstripping men in terms of achievement? What evidence supports the view that men are becoming educationally disadvantaged? The book goes on to suggest the implications for practice, research and policy. 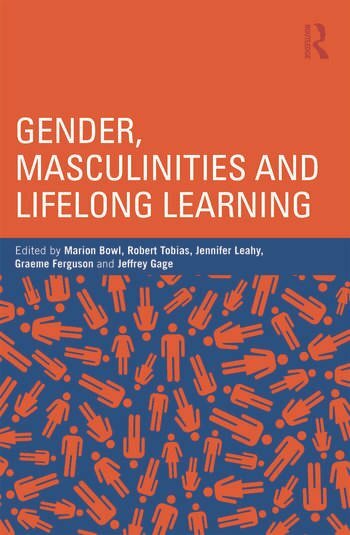 Importantly, it critically addresses some of the taken-for-granted beliefs about men and their engagement in lifelong learning, presenting new evidence to demonstrate the complexity of gender and education today. With these complexities in mind, the authors provide a framework for developing further understanding of the issues involved with gender and lifelong learning. Gender, Masculinities and Lifelong Learning will be of interest to any practitioner open to fresh ideas and approaches in teaching and programming connected with gender and education. Marion Bowl is Senior Lecturer in Education and Director of Continuing Professional Development at the School of Education, University of Birmingham, UK. Robert Tobias is Research Fellow at the College of Education, University of Canterbury, Christchurch, New Zealand. Jennifer Leahy is Lecturer in Adult Education Teaching and Research at the College of Education, University of Canterbury, Christchurch, New Zealand. Graeme Ferguson is Researcher at the College of Education, University of Canterbury, Christchurch, New Zealand. Jeffrey Gage is Senior Lecturer in Health Sciences at the Health Sciences Centre, College of Education, University of Canterbury, Christchurch, New Zealand.